The story goes that Edmund Clerihew Bentley, at the age of 16, invented a form of whimsical RHYME while attending classes at St. Paul’s School in London. Clerihew – a four (4) line biographical poem. At the end of the first line it must show the name the celebrity or noteworthy person. The poem must follow the rhyme scheme AABB. The line length and meter of your poem can be irregular. When their warble will whistle away. Seems to end on a gruesome note. Does your poem sound mean? If so, change the words and make it lighthearted in tone. Your words must show that it’s meant to be playful and fun. Make sure that you have two couplets in your poem at the end of each line – AABB. Now it’s your turn to create a four-line biographical poem. 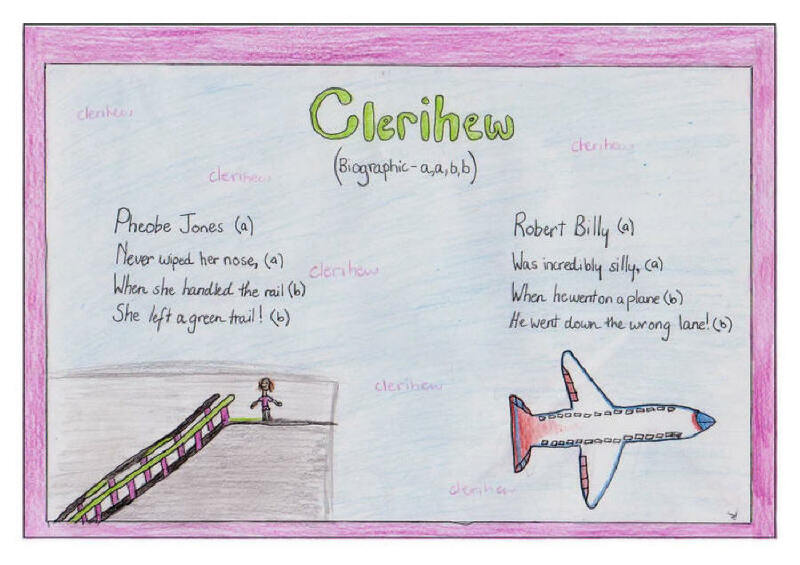 Which celebrity or noteworthy person will your Clerihew poem feature? What do you think Clerihew poems are about? Educate the reader, create nostalgia, evoke a mood, etc? lolz that’s a awesome and funny poem i agree with you justin bieber is not a good roll modle to people like littler kids. cool poem.